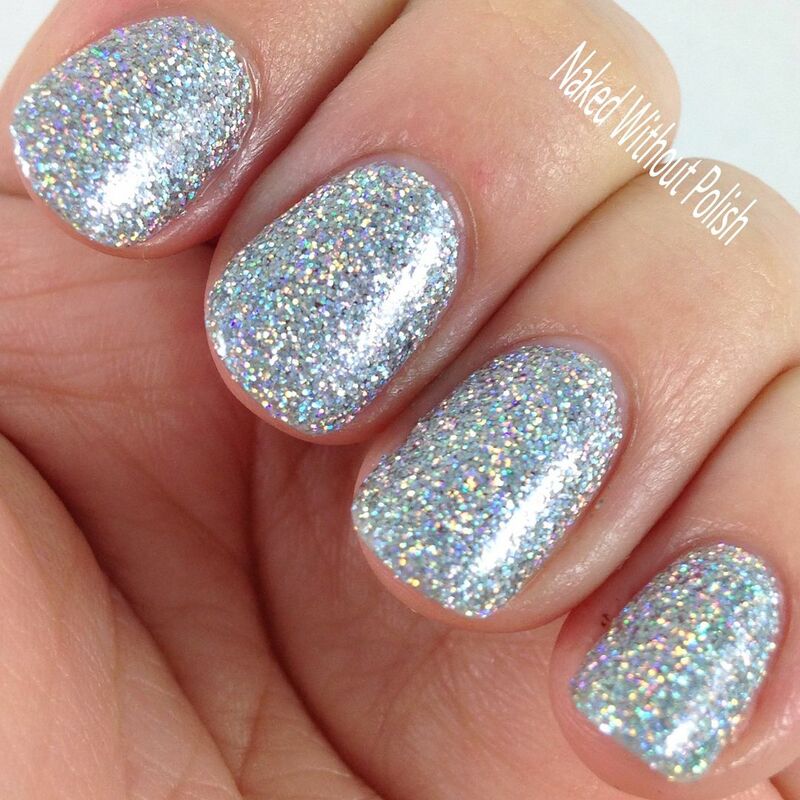 Silver Bracelets is described as "a silver holographic glitter topper". Shown is three coats of Silver Bracelets with top coat. 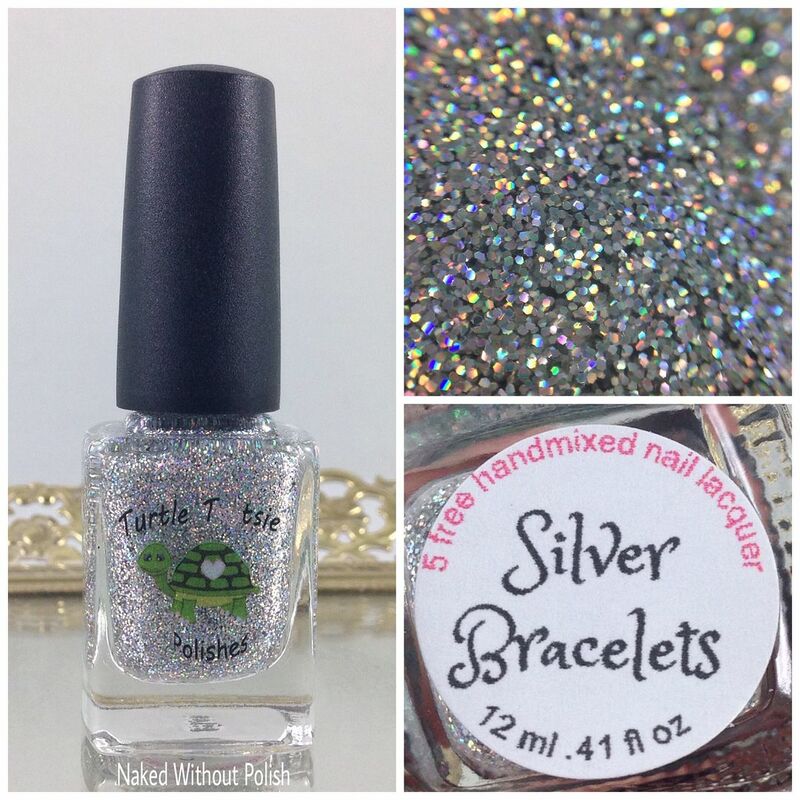 Silver Bracelets was one of the polishes in Turtle Tootsie Polishes' inaugural release. It's always been on my wish list but I'm stoked to finally have it. Silver Bracelets is packed with glitter, but not too much that it couldn't be used as a topper. 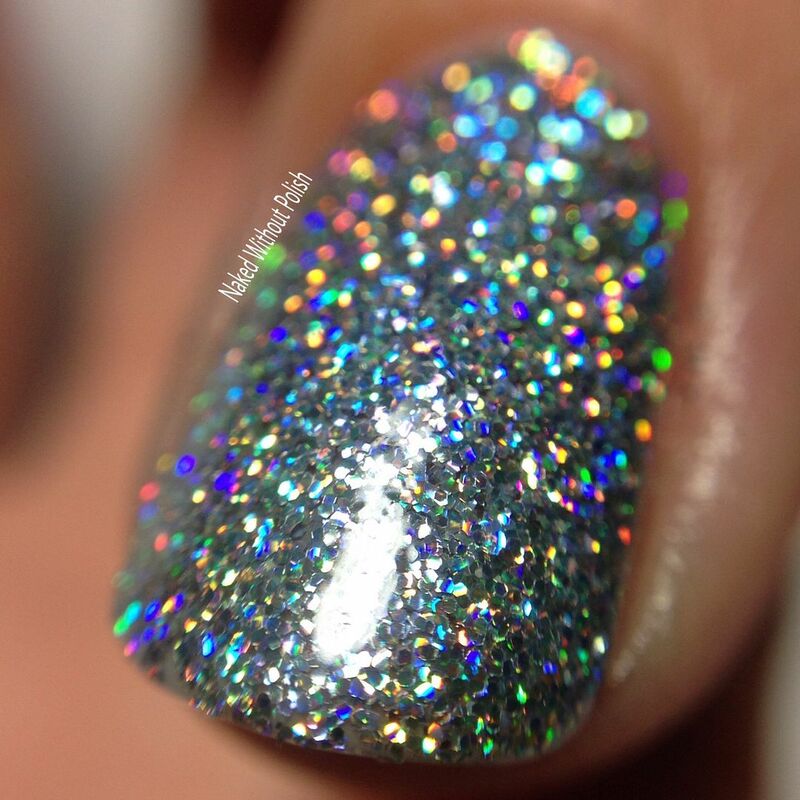 I did three coats to reach full opacity. I didn't have to do thick coats either. I was very impressed. No need to recommend the sponging method with this one. 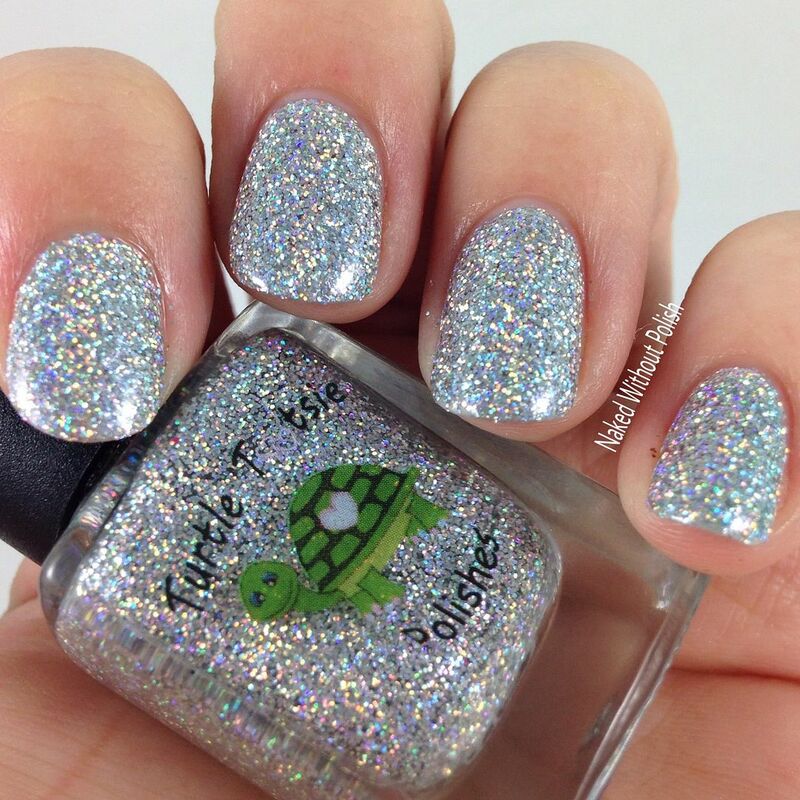 You can still get this one for your self at www.turtletootsiepolishes.com in both mini bottles for $6 and in full sized bottles for $10. 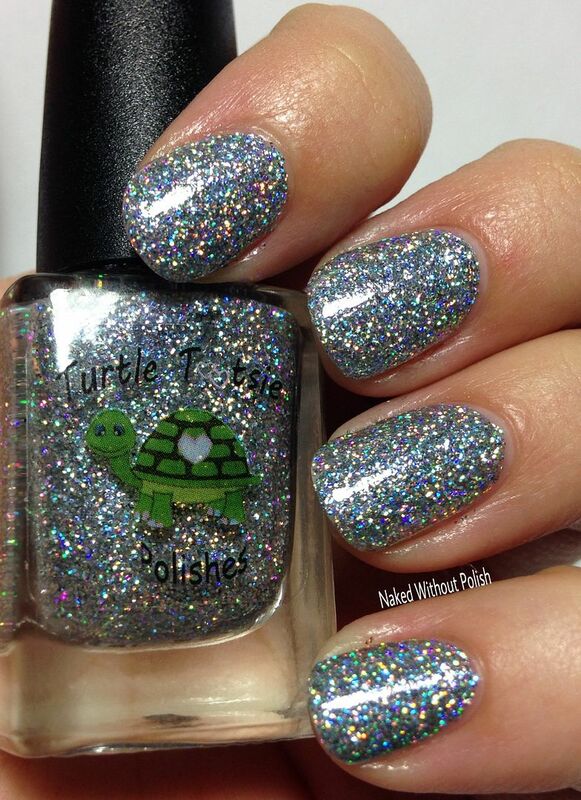 Make sure you are following Turtle Tootsie Polishes on all of her social media platforms (links below) to stay updated on news, releases, and sales. 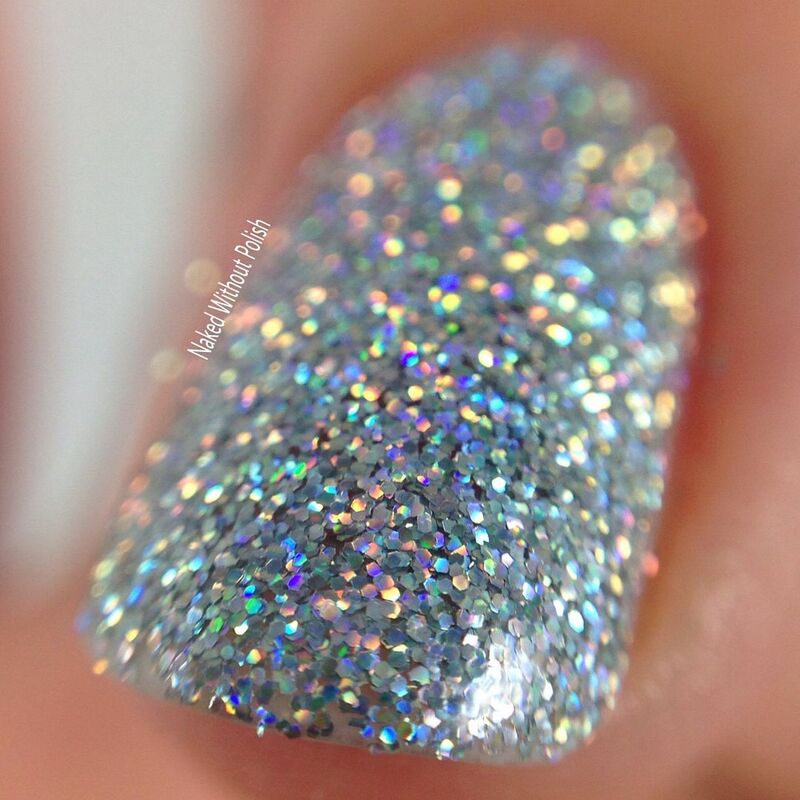 I love glitters like this. I know this isn't unique, but I can't have enough. They make me so happy. 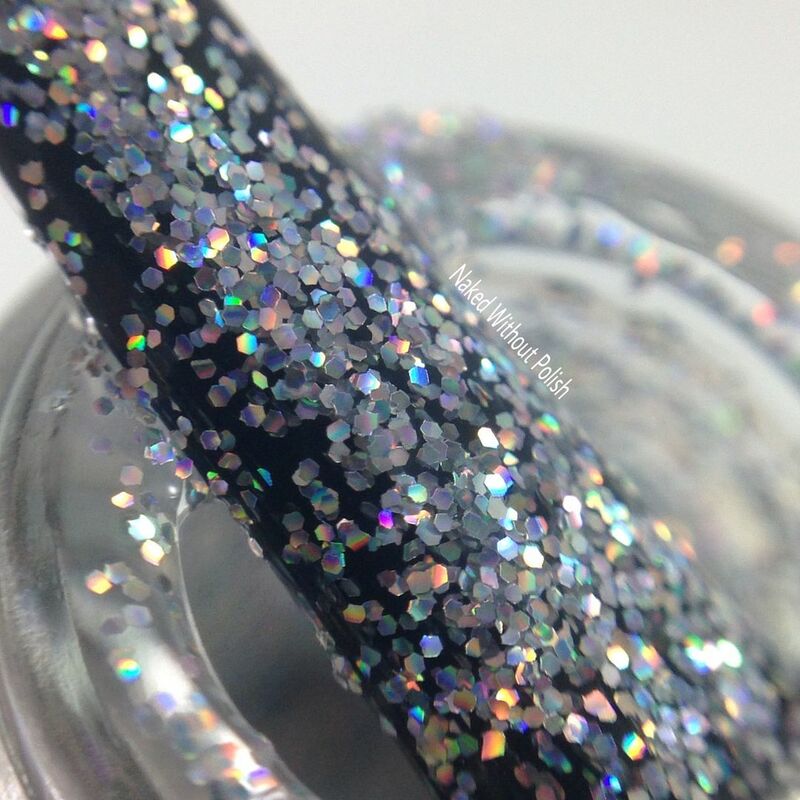 Are there any glitters or certain type of polishes that just bring you so much joy?